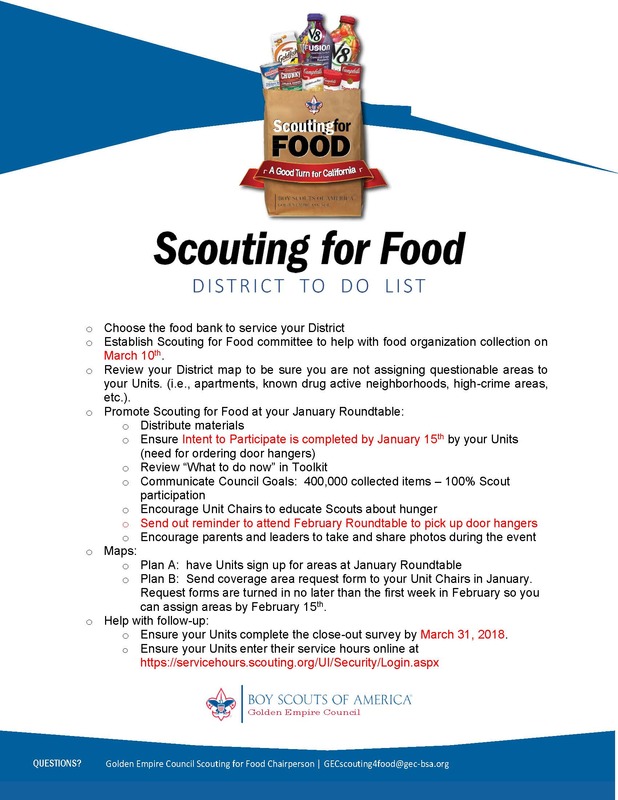 Scouting for Food is a nationwide Boy Scouts of America community service project in which Scouts canvas their local communities collecting food for their local food pantries. All Units, Scouts, leaders, parents, siblings, family members, and friends in the Golden Empire Council are invited to help! Scouts obtain satisfaction and demonstrate how they may serve others by providing a valuable and needed service to the less fortunate in their communities. Please click here to sign up your unit to participate in this event no later than December 15, 2018. Units go door-to-door in their assigned area distributing door hangers that request food donations. Units go door-to-door in their assigned area to pick-up the donations left outside. Knock on doors regardless if food is left. March 9, 2019 Help us to tell our story better with this simple reporting tool! 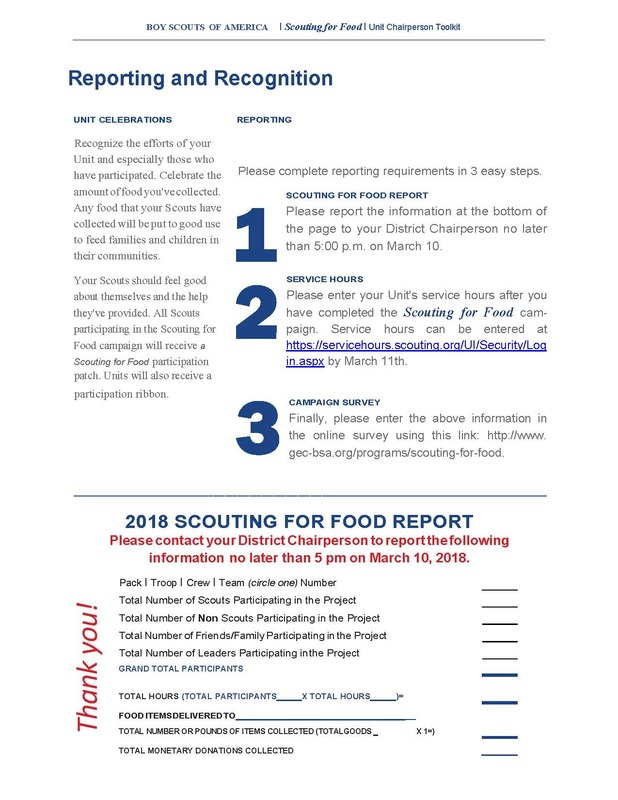 Units report Scouting for Food, and service hours. Never reported service hours before?? See the help page here for more assistance. March 9, 2019 Please complete the Close out survey to help us improve our performance in 2020. Click here to complete survey. Click here to view Unit SFF doucment to report totals for food collected, # of particpants and food bank that benefitted from the collection. Due by end of day, March 9th. Don't forget to enter your service hours here? on March 9th. 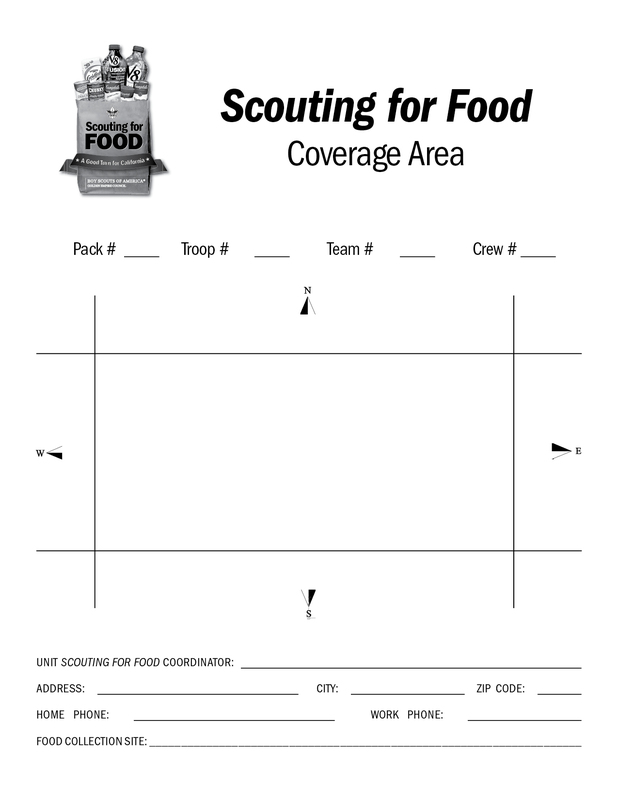 Hunger Statistics: Why we do Scouting for Food. Self-print 8 x 10 flyer to attach to bag or post in business. Perfect for cases where you want to enter information about your Unit and how to contact you if their food was missed on pick-up. Useful for determining which areas Units will be canvassing and to prevent overlap with other Units. Scouting for Food - Local Drop Off Points and District SFF Chairs Coming Soon! From approximately 10:00 a.m. to 3 p.m.